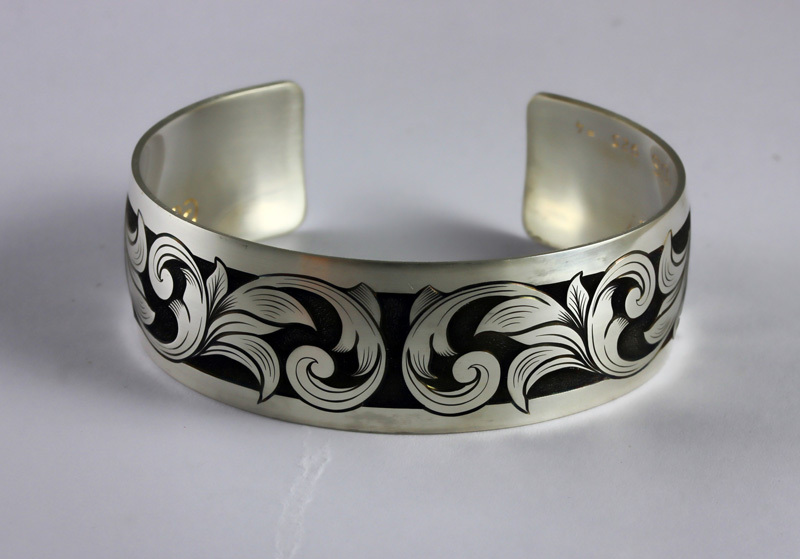 A nice gentleman in NY named Dave commissioned me to create this hand engraved Sterling Silver Bracelet as a gift for his wife’s graduation from her medical residency program. 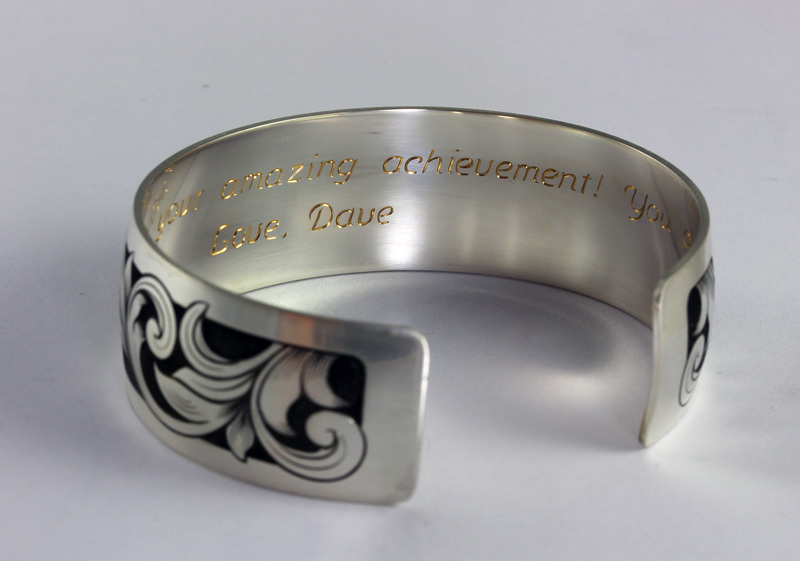 He asked me to engrave a message to his wife on the inside of the bracelet. I was impressed by how proud he was of his wife and so I added 24K gold plating to the inscription! He let me know that she loves it…. nice work Dave!